We all know those people that just glow - however, I am not one of those people. 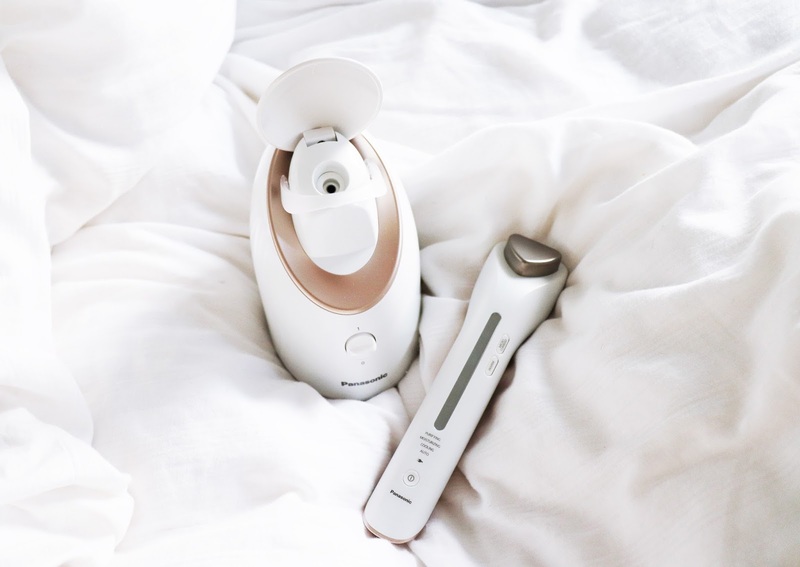 When the lovelies at Panasonic told me I could get a skin analysis from beauty expert Louise Thomas-Minns, I thought it's finally my time to shine (literally) and jumped at the chance. 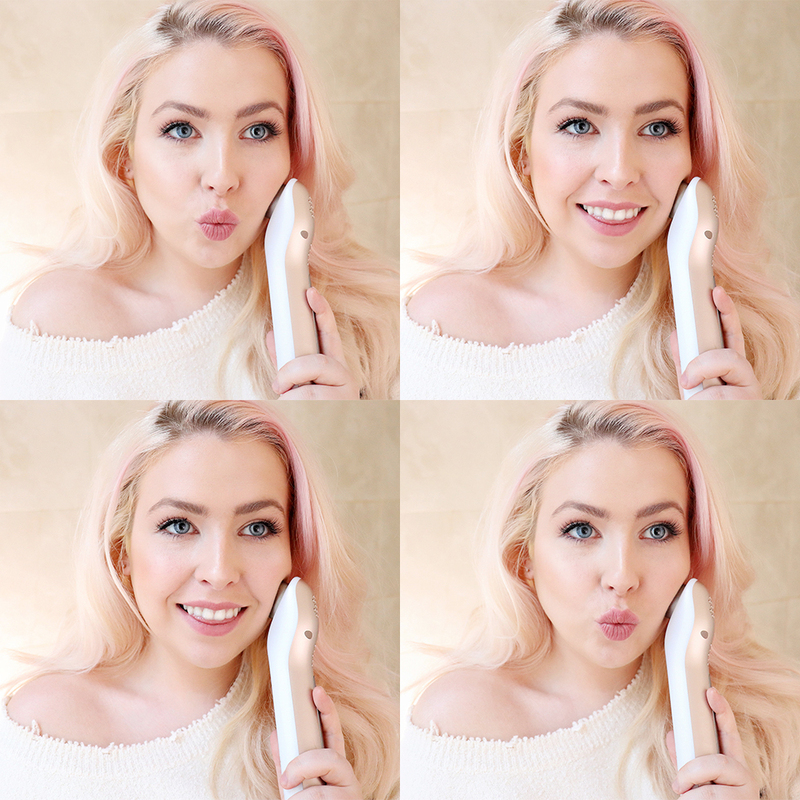 As someone who suffers from PCOS and sensitive skin, it's always hard to find things that work for my very annoying skin, but being given a chance to try two amazing products that are tailored to my skin was so exciting. If you ever feel like your skincare routine needs a little pick-me-up, this facial enhancer will change your life! This first of a kind 3-in-1 wonder improves the work of your favourite toner and moisturiser products by enhancing their purifying, moisturising and cooling capabilities for a fabulous complexion. Oh my god, is all I can say about this. It's amazing! Step 1: Purifying - I add my fave toner onto a cotton pad and attach it to the facial enhancer. This then warms up to 37-43 degrees as I move it across my face. This extracts up to 60% more deep-set dirt and grease from the skin and pores. Step 2: Moisturising - I apply my usual Kiehls moisturiser to my face and pop the enhancer on moisturise mode. I then glide this around my face (it feels SO GOOD) until the product stops humming. This helps the moisturiser go into your skin 40% more than usual. Winner, winner. Step 3: Cooling - My favourite mode. This creates a wonderful calm cool effect, to close the pores and lift the skin. It is amazing to pop under your eyes to reduce puffiness and wake you up. I've been using this a few times a week and I can see a definite improvement in my complexion. Not only is it beautiful (it's white and rose gold, what's not to love?) it also feels absolutely wonderful on the skin. 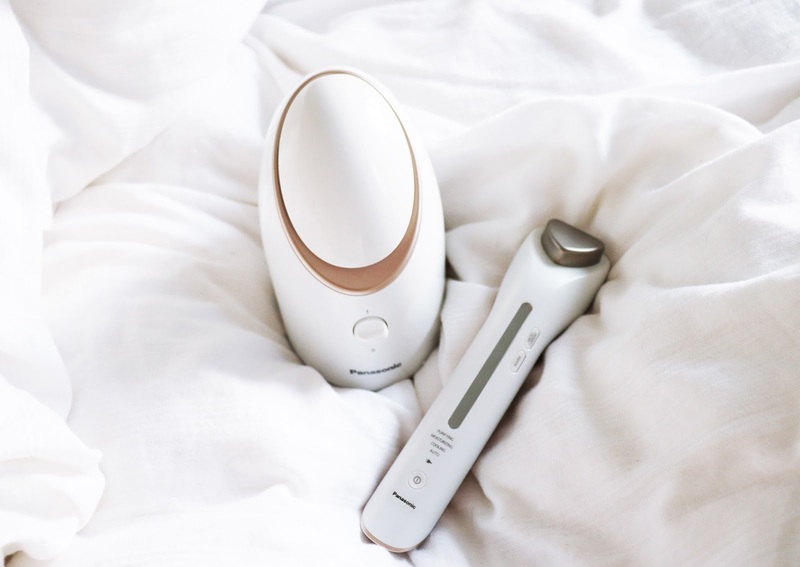 Whether you have 12 minutes or just three this little contraption is a real reviver. Who needs to spend £££ on spa days when you can have a spa night in?